Box Dimensions (LxWxH) 9.8 x 7.3 x 6.0"
EOS 5D Mark IV DSLR Camera (Body Only) is rated 4.8 out of 5 by 777. Rated 5 out of 5 by Jim from Exceeds Expectations! I waited four months before writing my review so I could give this camera a fair test. It met or exceeded all my expectations. The low light capabilities are as advertised, giving me far more versatility that I had with my 7Dii. The Wifi, bluetooth and touch screen are handy and allow for? time savings and flexibility, like shooting remotely from my phone and quick downloads for instant posting to social media. The raw images are higher quality than any I have ever shot before and allow me to crop closer on those longer distance wildlife photos. I honestly do not have anything but good to report on this awesome camera. Worth the money! 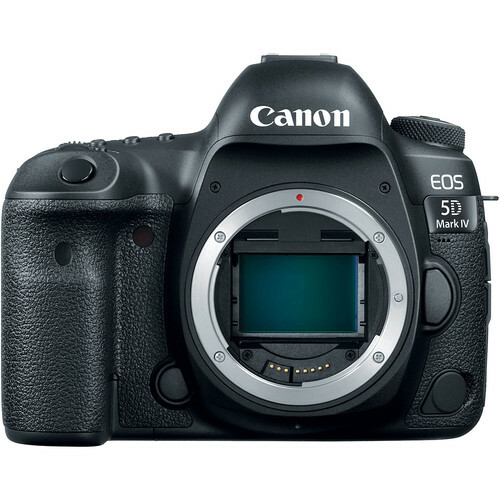 Rated 5 out of 5 by Frank from Excellent Upgrade of my 5D Mark III The 5D mark IV is an excellent upgrade of my 5D Mark III as it is better on all fronts. I especially appreciate the higher dynamic range, the 36% increased resolution and the improved AF in terms of number of active AF points at F/8 and DPAF for video. The 24-105mm f/4L II lens is slightly better than the previous version, but not a significant improvement over previous versions as we have seen with the 24-70L II, 70-200L II and 100-400L II. Compared to the previous version, the 24-105L II has less barrel distortion at 24mm, is slightly sharper at 105mm and shows in general a little less chromatic aberration. Rated 4 out of 5 by vmvideoguy from Love it! We came from using the Canon EOS 6D. We use these cameras for wedding videography and photography. Many people looking for 4k video will not like this camera as there are other offerings on the market that have more features than this camera. Keep in mind this is a photography camera 1st. Looking for the absolute best video camera, then look at the cinema line of products. We continue to use these models for video because, outside of videographers we have 0 customers wanting 4k and we shoot photos too. Love the extra pixels from the sensor and a little better recovering details in the shadows. Arguably one of the best auto-focus around. Rated 5 out of 5 by hai n. from Best Hybrid Camera I use this camera for professional video and photo use and it performs excellent at both. Pros: dual pixel autofocus works smoothly (best in the market), beautiful canon colors, 4k, slomotion capability (60p and 120p), built in timelapse video function, HDR video mode, viewfinder 2 shows a lot more information, rugged build quality Cons: 4k has a crop factor, 120 fps slomo is only at 720p It's hard to find a camera that can do it all at a good price. I could have gone with the sony a7sii or a7rii but neither does well at both video and photo. While the 5D4 is not perfect, it bridges both creative worlds for the type of work I do which is weddings and family portraits. 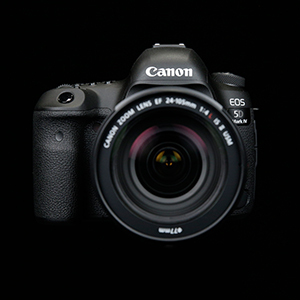 Rated 5 out of 5 by Tibor I. from Impressed worthwhile upgrade from the 5D M3 !!! I'm using canon for over 20 years professionally for photography and Sony a7S for video which is amazing. Love the DR of the sony so I purchased the sony a7R II with a goal of slow transition to mirrorless. The DR of the a7RII is beautiful but the low light capability past 2000 iso was surprisingly bad, after returning it got the Canon 5D M4 and was blown away with the low light quality which is essential for my event photography, more important then the higher Dynamic Range of sony but even in this regard the 5DM4 is way better then the 5DM3. Big plus is the focusing accuracy and speed, I'm very impressed, attached and image captured at 20000 iso. Rated 5 out of 5 by CORunner93 from Amazing! Highly Recommended! I left dslrs for mirrorless four years ago and until recently, I was using a Sony A7R ii. Mirrorless certainly have their place, but the 5D mk IV is the best all around camera that I have ever used. I'm a stills photographer, so not concerned with video features, and a Canon has nailed it! The body feels solid and is a touch lighter than the mk iii, touchscreen performs very well, autofocus is fast, the dynamic range is much improved and in my opinion, on par with the Sony sensor, and resolution is in the sweet spot for me. I am very happy to be back in the Canon ecosystem! Rated 4 out of 5 by Fred Bo from Perfect ! Only downside is... coming from a 5D mark II, everything is better. What i wanted the most is better AF and better sensibility. It's a life changer. Autofocus is by far the thing i love most with this camera, even in video mode. it's simply outstanding ! Downside is 4K video codec which is unusable. Such and old tech :/ For sure it's a dumb move not to hurt Canon Eos cinema camera line. Just for this reason I will keep on using Sony DSLR for video. Also i miss articulated screen like on the GH camera series and Sony A7 series. All in all, highly recommended for photography, not for video where codec, sharpness and dynamic range is average quality. Rated 5 out of 5 by Anonymous from Great service , Great product. Perfect. 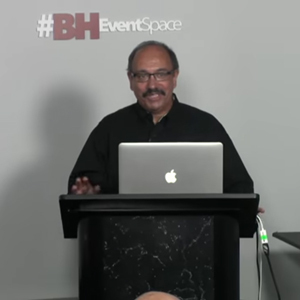 -I would like to start off by saying the B&H website was easy to navigate and my order was processed and shipped witihin hours. I had it shipped from B&H in New York, to SAN Jose,ca where I live. My camera and lens arrived in 3 days. No issue. Great service . -I have had my Canon 5D Mark iv for a couple of weeks now, I use it for stills and video. I am extremely happy so far. Prior to this the only DSLR I owned was a t3i, so this is a giant upgrade. I do have experience with the 5D mark iii and 7d as well . So far so good with this mark iv. Very easy to use and has a lot of features.i like the wifi and touch screen in particular. The Lseries lenses are amazing. Top notch quality. How do we turn off the wi-fi and gps? Everything else is great and I would like it. Page 79 and page 227 of the Canon EOS 5D Mark IV DSLR Camera's instruction manual (and pages 11-13 of the Canon 5D Mark IV Wi-Fi Function Basic Instruction Manual) states that under the Camera Settings section in the menu is the GPS and Wi-Fi/NFC settings, both which can be set to Disable to turn the settings off. Disable is selected by default; you must go into the menu and turn these options on to Enable if you wish to use them. This camera uses Compact Flash and SD cards. This will include the Canon LP-E6N Lithium-Ion Battery Pack (7.2V, 1865mAh)B&amp;H # CALPE6N. can i use the 430 or 600 rt off camera without a trigger? can the camera link directly to the flashes and control them? Phottix makes a nice trigger, Laso, that is RT compatible and is less costly than the Canon units. It also interfaces with Phottix receivers that can be applied to older Canon flash units that dont have RT capability. Ive used it in combination with a 600EX-RT, Yongnuo YN600EX-RT, 580EXII and 430EXII and it works flawlessly. Can the Mark iv take SDXC UHS-II cards? They are currently the fastest cards on the market in the SD sphere. It's likely that it will allow it as a backwards compatible thing but to my knowledge most camera's out there almost never upgrade their internal read/write abilities. The user will always be limited by the speed of the camera even though the medium says it goes faster. Unless it's a 1DX or a D4/D5 that camera won't do read/write's beyond perhaps 70mb's a second (that's actually slow!). Yes it comes with a limited 1 year usa warranty from the manufacturer. We offer 2 and 3 extended protection plans from Squaretrade as well. Does the 5D Mark IV have the built in levelling system (as in the 5D Mark III)? Yes, the 5D Mark IV has an electronic level. Can Mark IV link spot metering to AF points? Metering by AF point is not possible on the 5D Mark IV.